It looks like this is going to take a bit longer than originally planned. Debugging attacks and figuring out how to code the trickier ones took well into Friday afternoon to do, and I still have so many other features to do before demo 7 is ready! There's the cutscene system I'm working on right now, a simple version of the Ponipedia I want in, overworld interactions that need to be programmed, animation tweaks to draw, and a whole lot of bugs to fix. So maybe the next update should come out on Tuesday with DevLog #122. 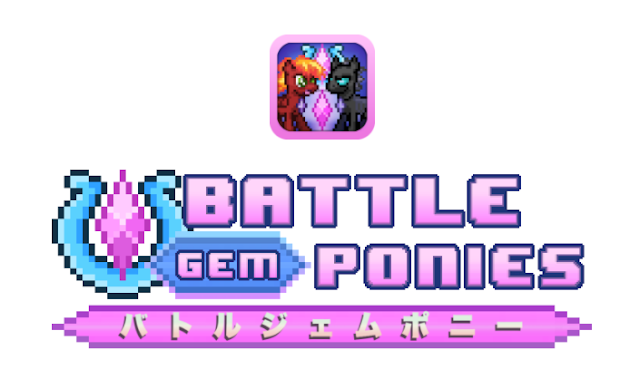 Then I can start that week fresh by finally getting on with constructing the alpha version of Battle Gem Ponies! 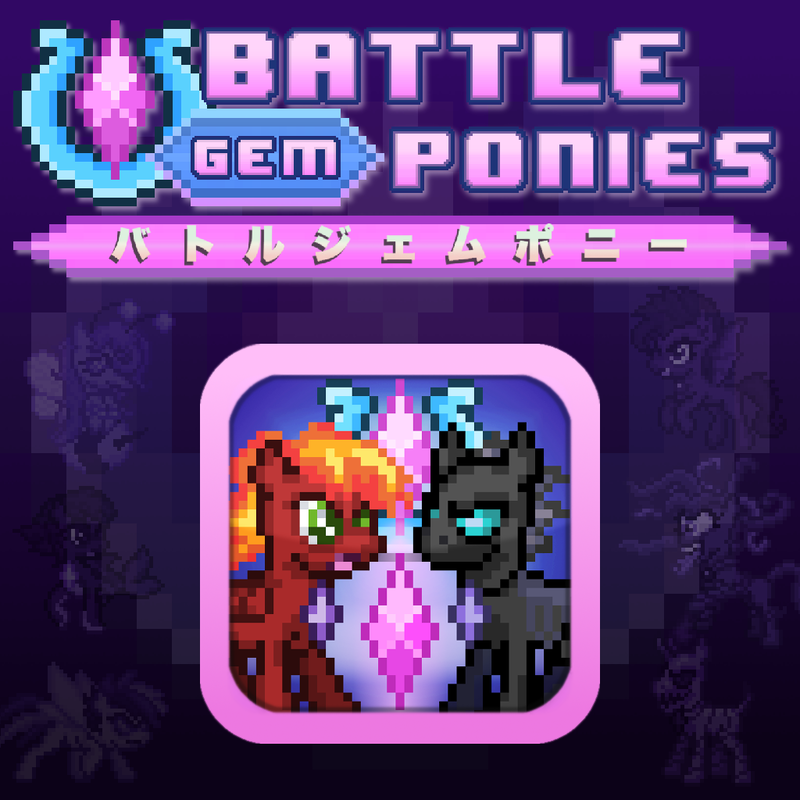 This might become some people's favorite mobile game! Getting all the moves and special conditions to animate and flow correctly seems to be a bit harder than doing all the math behind the scenes. Like I said before, I'm not going to waste people's time with more minor incremental updates. Next release will be a mostly completely functional prototype of the game. 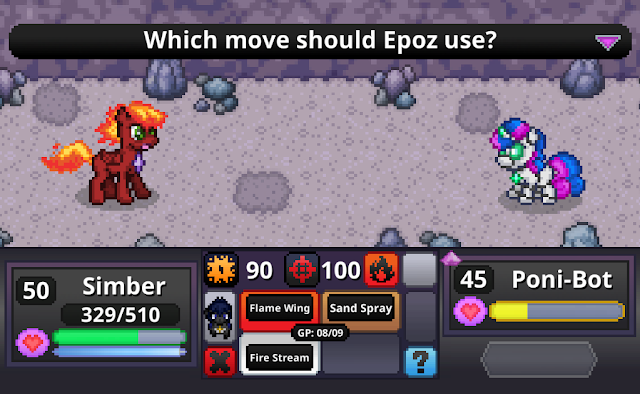 All the combat in place, a well-tested overworld, and enough polish to show what I'm going for.